Museum 2.0: Warning: Museum Graduate Programs Spawn Legions of Zombies! Okay, they don't eat people's brains. Heck, many of them are intelligent, sincere, interesting people. But someone needs to raise the red flag before it takes an MA to work the register at the admissions desk. Summer's coming to D.C., and with it flocks of museum studies / education / exhibit planning graduate interns. I’m always curious when I meet these folks, who are about my age, choosing a different entry path into the museum world. The value proposition of museum grad programs is cloudy in my mind. Is it a credential that serves as a gateway to better jobs? Is it an education that would make me a better person? Standardizing the field limits the potential for radical change. I confess I often feel this way about school in general. One of the reasons I fell in love with museums is because they support learning that is distinctly un-school-like. So I see these programs as a threat, an encroachment of schoolishness on the willfully unschooled. Following a standardized curriculum to prepare for work in the museum field homogenizes the perspectives and skills people bring to museum jobs. I think one of the things that keep museums fresh, welcoming, and non-didactic is the fact that most exhibit designers, museum educators, and conservators come from a variety of backgrounds. You were a carpenter. I was an engineer. She was a ceramicist. He wrote poetry. Sure, we may have some communication trouble getting on the same page. But that’s worth it for the wealth of different experiences we bring to the table. And by presenting the "right way" to do things, graduate school defines and judges other options as sub-optimal. Young people who walk into class with wild ideas may walk out (and into jobs) with the perception that those unique ideas are inappropriate or impractical. But those are the ideas we need to grow. Museum people aren’t mathematicians; our work can’t be traced to an immutable set of laws. The more we teach and judge based on laws, the less students and graduates will try to break them. But this isn't just about my personal bias against school learnin'. I support pedantic educational models when goals and outcomes are clear. But no one can list the tangible skills these programs impart. When I ask alumni about the value of museum education/studies programs, they often say, “It was a good experience. But I wouldn’t recommend it for you.” This may sound reasonable; any life choice is a personal decision. But why isn't it right for me? Because I already have those skills? Because I'm already on the way? If I've learned in a few years of experience and reading--for free--what I would have learned in graduate school, why bother? Other graduate programs develop hard skills. Last year, my museum was a “client” for an MIT product design grad course (in mechanical engineering). The students designed and fabricated prototype pieces of an upcoming exhibition. None of these students had backgrounds in educational theory or museum studies. And yet if given the choice to have one of them as an intern or a museum studies student, I’d choose a mechanical engineer in a second. All of those students had real skills—in building and design—to bring to the drafting table. If the programs aren't about skills, are they a professional gateway? Not in my anecdotal experience. The credential is a crapshoot. I used to work at a children’s museum with another young woman who had a graduate degree in museum education. We cut the same construction paper. We taught the same programs. The only benefit her degree got her was 25 cents more per hour. I don’t think this is an unusual circumstance—most of the museum grad students I know have the same struggle as non-grad students to find museum jobs, made worse by hefty student loans. Worse, graduate school provides a sumptuous taste of exciting museum work via substantive intern projects which makes sinking into mundane entry-level jobs disappointing. At least I knew I wasn’t using a graduate degree to cut construction paper, that I was paying my dues without also paying thousands in loans. The grad students I know who have successfully transitioned from school to job did so because of connections they made in the program—connections they could have made on the job or at conferences. Why pay for an internship when you could offer yourself to a museum for free? The graduate programs don't just offer false promises to students. The semblance of a credential creates a red herring that employers latch onto. Over the last 10 years, “graduate degree in museum X” has snuck into many listings for entry level museum jobs. Have these jobs changed such that a graduate degree is now a necessary prerequisite? I asked my boss about this. She’s a graduate of a museum education program, and she originally hired me for a job that listed museum graduate degree as a prerequisite. She reflected and said that she would always prefer someone with interesting, diverse real-world experience over someone who just has a graduate degree. And yet, she admitted that seeing that MA on the resume imparts a certain comfort, a known quantity, that appeals to her. But how many interesting, diverse people like me would have turned away from that job listing because of a lack of the credential? How many resumes would she examine less closely due to lack of the MA? For her at least, the degree is a crutch that makes it easy for her to not seek out the best person for a job—which creates a lose-lose for the institution and for that best person, wherever he or she might be. This is not to say that I don’t think education and learning is essential for our field. If anything, I support MORE educational opportunities in museums. But should they happen in a classroom? And is graduate school the best entry path for people new to the field? I want the head honchos of the museum world to spend some energy enabling apprenticeships, internships, and experimental projects, so that young people can learn real skills in the open, creative environments that museums can and should be. I want to see more graduate programs (and less formal opportunities) like Bank Street's Leadership program, which is for working, mid-career educators to collaborate and learn in a high-quality, focused environment. I want access and discussion around conference sessions, journal articles, exhibit critiques, and workshops. When it comes to museum education, we need to stop grading and start enabling. “No one ever fails a museum.” But did they get an A in the class where they first learned that? I must admit, this post really put me on the defensive, probably due to the fact that I am getting my MA in Museology in, oh, about a month's time. So there's a grain of salt for you. I'm not sure I agree with the homogenization statement. In my program we come from a wide variety of backgrounds (biology, anthropology, theater, english, more) and, as the program is only 2 years, we're not that far from our backgrounds when we finish. We integrate museology into what we had before, much as we would have if we'd had 2 years of working for museums (and some of us had). We're not cookie cutter museum professionals and we're not sapped of our creativity. We might be tired given the season, but we're excited to face the world and make a difference. Do we think there's a right and a wrong way? For some things, like collections care, yeah, we probably do (or me anyway). But we all find our own relationship with museum practice, as much advice as we're given in the program. Was it the right choice for me? Yes. And now I'm ready to move on, put what I've experienced into practice, and make a difference somewhere. I appreciate your comment and I'm glad to hear a perspective from the other side of the fence. I had a lot of trepidation about this post, because I know and respect lots of museum grad students, including yourself. I hope that more people will contribute stories of positive grad school experiences to balance this discussion. Looking to the future, I'm concerned that these programs may grow into a necessity for museum work, like other professional credentialling programs. And I question whether that's a good thing for the industry or not. There's so much talk in museums about removing "barriers to entry" for visitors. I hope that these grad programs aren't putting up barriers to entry as staff for people with non-traditional backgrounds. I see your concern. And I'm not sure how to respond because I'm torn. I wonder if setting a barrier for some positions isn't actually a good thing. Museums bring together so many talents from so many disciplines, but if a person doesn't really understand what a museum is and what its goals are, might their work be, if not counter productive, less than ideal? Museum programs ought to be preparing their students to take on anything with a rounded knowledge of museums and the standards that reputable museums hold. Still, a big part of my resistance to this post is exactly what you're saying in it. In part, I'm getting this degree because I want to work in museums professionally, and I don't think I could have gotten a job without the degree. If I can get one with it remains to be seen. Oh, don't worry for bringing this up, it has been a topic of many museum-l and museum-ed threads over the past few years. I'm with you Nina, I'm not a big fan of the Museum Studies programs. I've supervised MS and MES interns and interviewed them for Education positions, and these folks, more often than non-MS/MES folks, are caught in more rigid expectations and ideas about museums. They also have had a harder time thinking on their feet and engaging in the history (I worked at history museums). This does not apply to everyone. My former boss is certainly an exception. I'm a fan of education, don't get me wrong. I had an MA in American Studies with a focus on material culture when I jumped into my first museum internship. But it seems that degrees in a discipline are more helpful in the long run. It's hard for me to understand how someone can get a very general "museum studies" or "museum education studies" degree and be ready to work in a history, art, children's, and science museum. Those institutions draw upon different ways of thinking about objects, scholarship, and pedagogy. As for museum jobs, outside of the v. large institutions, most staff do basic tasks that contribute to the success of a program or an exhibit or just to maintain the basic services of the organization. I know I'm not the only MA who had a good salary and some status who cut construction paper, stuffed envelopes, and cleaned out clogged toilets (maybe not the last one--i really earned my pay that day!). Well, as a current PhD student (PhD in same field as MA and BA), also working on a certificate in museum studies at a school that does offer an MA in museum studies, if I was at the beginning of the process, knowing what I do now, I would do things differently. 2. Do an MA in museum studies, and then PhD in field. That being said, I have been enjoying my museum studies classes, but I tend to feel that the students in the MA Museum Studies program are a little too idealistic, and not realistic enough. They don't have a grasp on the real world (period), and they certainly don't have a grasp on the reality of museums. The program itself kind of encourages this, as there are very few local museums that are "appropriate" for internships. The museum where I now work is one of the "inappropriate" ones, yet it is probably what most recent grads encounter in their first real museum job. Although the education vs. experience dilemma used to be the focus of many debates on museums during the later times, it is not specific of museum professions. Ask if so the same question to any artist, historian, writer, or even computer engineer and you will find the same debate. Learning and leaving are very personal experiences and they are not interchangeable and they do not exclusively depend on school and streets. What better works for ones is crazy for others. However, I must admit that I am totally with Lynn. Attending any MA in museum professions does not mean stopping of being a person and getting some other kind of life-knowledge in the meanwhile. What is more, why are museum professions programs supposed to be bad, just because they are expensive (like professional conferences)? I see that many current museum professionals are reluctant to brand-new graduate students, because grads do not have experience. I wonder if those who say that got inside museums' world with the same expertise they are asking to graduate students. I also wonder if being an inexperienced person does relate to getting an education in museum professions programs or just to the fact of being young. Young people are young people here and there, in museums' environment and in medicine. Any field has the same reluctance to inexperienced applicants, but that is life I guess. What is more, we could also twist this topic and ask about outdated museum professionals currently working for museums, but it is not my point. I have personally found the MA environment totally enriching, including my classmates’ backgrounds. In fact, not only ceramists, historians and computer engineers are currently attending those programs, but also current museum professionals who want to learn, share and exchange experiences, in addition to see things from the outside. Moreover, maybe more museum professionals should attend those MA programs to realize that who are teaching them are mostly their colleagues: current museum professionals. Ok, so I am completely defensive here. I teach museums studies now and have for over 15 years. I can list what our student outcomes are, and why we do what we do. As a faculty we talk about this all the time and are constantly changing what we do in order to remain as best possible at the edge the field, while still hitting the basics. The point is not standardization. How could it be given the wide variety of students that we place in the wide variety of museums that exist across the country? Sure, history and theory are a part of the program, but we emphasize practical application and students who come to the program must do extensive and worthwhile internships. We work with the institutions where our students go to be sure they produce a substantial product. I am constantly seeking great mentors and it takes considerable effort to make that happen. By the time students graduate they have been exposed to substantial ideas and institutions. If there is any point of view where they are forced to accept our idea of the world it is that museums are for communities and real people. Ironically enough, in the past several years many of our students have become the ones pushing their bosses to think in new ways and to be more open to change. The point of the program is to learn how to be able to gather information, analyze, synthesize, communicate and produce. For some, grad school of any kind is the first deep thinking experience of their lives (some lucky ones get this in college). For others with museum experience grad school gives them the chance to think and reflect about museums and learn new skills. Still others come because of the connections and a desire to have a degree. I agree that Grad school isn't for everybody. But I don't think the field is harmed by those taking two years to learn what I had to get on my own, at a much more shallow level and at a much slower pace. I'm glad to see so much discussion around this. One thing I've noticed and wondered about in the last few years is it appears that the demographic in many of these programs has shifted younger. Anyone have any idea why this might be happening? One thing that appeals to me about the Bank Sreet Leadership program is that it is explicitly for mid-career people. I think it makes a lot of sense to go back at some point to "reflect about museums and learn new skills" as sspero puts it. But as the demographic of students change, I imagine that professors are stretched to teach to the interests of fresh-from-college and vets-from-the-field. Which makes me look at the programs and the students and think, "this isn't for me." How can programs accommodate both? I would like to start by saying that I love your blog; I feel that I find fun nuggets and new ideas each time I read a post! I would also like to say that I am a graduate of a museum studies program, although, oddly enough, I don't feel particularly defensive about that fact. In fact, I completely understand your point of view. Especially regarding the frighteningly (and rapidly) growing numbers of museum studies grads, often emerging from their programs with a wide-eyed optimism despite the fact that they are about to enter an already-glutted market. However, I do believe that, depending on the program, there can be great value derived from museum studies graduate coursework. I feel that it is important to note that not all museum studies programs are created equal. I thoroughly examined all graduate-level museum studies programs available at the time (about 20--in the intervening 9 years that number has most likely doubled), including visiting campuses and talking with both students and instructors. What I found was that there was actually quite a number of types of programs calling themselves "museum studies" and some were definitely more up my alley than others. Because I had already been in the museum field for a couple of years, I was very interested in finding a program that catered to professionals who could continue working during the day and attend classes at night or on the weekends. I was also intent on finding a program that had its basis in theory but with a strong emphasis on practical experience. And most importantly, I wanted a program whose instructors were actually real-life museum professionals and not just academics. I managed to find exactly what I was looking for. I would like to note that what I wanted/needed in a museum studies program may not be what's right for another student. -- A forum to share ideas and information about museums and the museum field. I agree 100% that the credential is a crap shoot. Especially, as I have already mentioned, as the field becomes glutted, having an MA in Museum Studies is rapidly becoming more and more like having a BA used to be--it is simply a pre-requisite to entry into the field. In fact, I have held positions where I would not have even been considered had I not held my degree. And they were entry-level positions. The credential is no guarantee of a "good" position right out of school, nor of rapid advancement or even any advancement at all. While what I have just stated would seem to support your red herring theory, in fact it is more an indication of the desire of the field to "professionalize" itself. My past employers wanted to make sure that I had previous knowledge of how to care for objects. Sure, they could have looked at my resume and seen that I did, in fact, already have several years worth of hands-on experience caring for artifacts, but unless they had first-hand knowledge of the institutions, they felt that they had no guarantee that I had actually been trained properly by someone who knew what they were doing. Perhaps it just sounds like I am rationalizing a museum's decision to require the credentials, but to a certain extent, I understand. Especially, once again, given the fact that 200 people had applied for that same entry-level position as I had. Much like college admissions strategies, museums have to have some method for systematically making the initial cut. I do agree with your boss, however: I'd rather have someone with great, fresh ideas and an interesting perspective and background than someone who *just* has the degree, and I do feel that years of experience still can overrule or substitute for the credentials, even in the minds of employers. But just because a person decides to go back for formal studies does not mean that s/he *doesn't* already have an interesting background. In my program we had someone who had been in publishing, someone who had been in insurance, someone who had worked on organic farms, someone who had been to Rainbow Gatherings, someone who had been a ballerina and someone who was a motorcycle mama! Finally, I have a couple of thoughts regarding the standardization of the field through museum studies programs and the resultant limitations on the potential for radical change. My first thought is that just as all museum studies programs are not created equal, not all areas of specicialization within a museum studies program are created equal. In a nutshell, there are certain areas of the museum field that are addressed very effectively by museum studies programs and others that are not. I would argue that exhibition design and development are not. Pertinent hands-on skills for collections management, registration, education and administration are easily attained within the coursework of a museum studies program, but exhibition development is an entirely different kettle of fish. To be completely honest, I have not seen a museum studies program that actually handles that aspect of the museum world very well. Perhaps the University of the Arts program, which is more about design than about museums, but I don't know much about it. My second thought is far more cynical and dark: from what I have witnessed first-hand in museums, the vast majority of them are pretty doggedly averse to radical change anyway. This is one reason why I have been so inspired and heartened by the existence of museum bloggers and a whole community of museum professionals interested in web 2.0 and other tools and strategies that really embrace change and growth in the museum field. im guessing the demographic shift is due to lack of jobs, ability of kids to pay for school, and the new hiring trends to favor degree-holders. what a bad trend. grad school is a place to reflect and share work experience. 22 yr. olds just don't bring the same values to the table. admissions officers should think about this trend - i know it’s good for business, but all my grad friends agree, the experiences of your cohort make or break the classes. i am completing a museum education degree and am still figuring out the benefit of paying 35k when "experience" is what employers seem to want. my program followed the exact same curriculum as the k-12 art teacher certification program, save for my practicum in the museum. not good. museology was nowhere in the picture and i find this to be a problem. there is minimal literature on the "applied science" of museology. i think that standardizing the issues would lend itself to better bridging diverse approaches (and employees) we want to draw to the profession. that said, ‘im with nina on the problem of schooling. ivan illich's "deschooling society" is a must-read for educators, museum professionals....everyone who pays taxes, really. i am an art educator. i can't justify that anyone 'needs' art. we certainly don't 'need' schooling - i'm still undoing all the bad habits i learned in school. my main goal is to provide surprising opportunities to learn in everyday activities. just think about what the business of grad programs in america means for hiring practices, the business of survival, the audiences we reach, the values we project - all the particulars that influence our ability to make meaning out of material culture. question it! capriciousmuse wrote above a list of the advantages of attending grad school. I think that if you examine the list, you'll find that a job will provide many of those benefits. If you then throw on a concerted effort in a professional development activity, such as, say, writing a blog, I think you'd find that you'd get all those benefits and more (except for the discounts, but then if you're getting paid instead of paying for two years, the $ work out quite well in total). So while benefits are there, they are at best an expensive way of getting them, from what I can tell. I would suggest that the same is true in most instances with business school and masters degrees in a number of technology-centered fields. I have mixed feelings about graduate programs vs. experience. I'm not currently working in the museum field, but I have worked in informal science ed (science center and outdoor ed), and I have a Ph.D. in cultural studies, for which one of my areas of concentration was museum studies. My dissertation concerns women scientists working in museums. I've applied for a few jobs in museums--usually education or exhibit research jobs--and I've been told at different times that I lack sufficient museum experience and that I'm overqualified because of the Ph.D. So that's frustrating. In my case, a degree and its specialized knowledge have become a liability--so much so that I can't break into the field without doing a lot of volunteer work. (I'd love to do volunteer work, but with a toddler and a lot of student loan debt, it's not going to happen anytime soon.) I know breaking into the museum field is difficult, but the degree seems to have made it more so. As an anthropology MA with limited experience in museum work, I can see how an MA in museology would be valuable. However, I do not believe that an MA in museology will always be the best person for the job. It will always be the responsibility of the non-MA job applicant for describing their interests and what qualifies them for the job. On the flip side, I would hope that the employer would have an open mind about this, too. I am looking seriously at a museology certificate program, and hope that this will give me just enough practical museum knowledge to help me in my work, yet am proud of the anthropology MA and all the expertise I can contribute to the field. It's tough to put guidelines on museums, since there are so many museums of so many kinds, sizes, personalities, etc. What's great for one may not be great for another. I've worked in a bunch of museums in a bunch of capacities, most recently (and the longest) as an outreach educator at a science center. For me, graduate school is serving to: a) give me more knowledge that I've discovered can be difficult to come by in "the outside world", and b) boost my nearly decade-old career. I actually specifically decided to not pursue a masters in Museum Studies, but rather in Cognitive Studies, an interdisciplinary program offered as part of the Education Department at UW (hi Lynn - we just met at the conference, talkin' 'bout knitting!). I've found that most museum programs are pretty sparse in their education offerings, and I've also noticed that my Ed. classmates have overwhelmingly already been in the workforce for some time - I don't know the typical demographic of Mus students. We learn as much from each other as we do from our professors (sometimes I'd like to hear the professors a little more!). You can even turn this point around and state that it'd sure be nice if more people in graduate school had some real-life experience before coming to school. From what I've read so far in the initial posting and comments, it looks like the debate here is primarily over education vs. experience". I'd think that an ideal resume would contain a healthy portion of both. I don't think my M.Ed. degree in Cognitive Studies would have served me much if I'd gone on to grad school straight out of college, but I do think it will help open some new doors at this point in my career. I am a graduate of a Museum Studies program and I can honestly say I would not have gotten my job (which has never included cutting construction paper) without my degree. I found my job directly out of grad school, and was given a great deal of responsibility early on because my supervisors immediately saw that I could see the big picture within the museum. Not only could I create educational programs (my current position) but I could also coordinate exhibitions, work with the design and installation team, understand registration and art handling concerns, write a grant, talk to funders, evaluate, etc. Graduate programs in museum studies prepare people to be team players and to understand the needs and concerns of other museum departments. I feel that due to my background I am able to collaborate much better than my counterparts who do not have an understanding of museum structure. Oooh, man. I think museology programs are a mixed bag, but I'm in one for a variety of reasons, namely yeah, it has crept into more and more job descriptions. And it's a way to get grounding in some basic theory (I'm in collections management, where the gulf between reality and best practices is vast and slow to bridge), and some more variety of experience before I head on to a PhD program (probably). That may very well be overeducating myself; it may not, since I see more and more nat. sci. collections managers with PhDs. But I also don't think museology programs are that homogenous, either between each other or within. And most of the people in my program value the practical experience much more than the (homogenous) theory. Almost everyone in my year came in with some museum or related experience (I think only one person had none and came straight out of undergrad), and we have very diverse backgrounds. I doubt there's much danger of us coming out thinking alike, and very few of us came in idealistic or wedded to impossible-to-implement ideals, since we'd already had at least some contact with the realities of museum work. I gather other programs are much heavier on the 22-year olds. Mine is largely composed of late 20s to 30s. To some extent, I could get what I'm getting out of my program via a job. *If I could get a job. * Like it or not, large parts of the museum field are becoming MS+, and it's either museology or a subject. In my speciality, MS programs are rare and few are especially well-regarded. Getting a real, full-time, quasipermanent job with my BA? Pretty unlikely. my girlfriend has a MA in museum studies and can't get a museum job to save her life. She got it at the University of LEICESTER in england and supposedly it is a recognized program. She wishes that she saved the 30,000 student loan for something that would actually land her a job. She feels really bad about it because she feels like she wasted a ton of money and time and can only get 12$ jobs tutoring. No other employers find it valuable. Instead of looking for tangible skills, perhaps you should be looking for the values Museology grad programs offer. Museums, I have noticed, are dinosaurs. They are often strapped for cash and do not offer their audiences the level of connection they deserve. Perhaps you're beef is with the field and not the grad programs? Museology allows students to reflect on what a museum could be. It gives them a chance to create a personal vision for the field. Without this vision a professional cannot truly make a difference in the community, the museum, or the world. Perhaps this vision makes professionals entrenched in failing institutions worried about their job security? Many museums are hurting. Many museums are outdated. Many communities are hurting too. It is a broken field and needs all the help it can get. Encourage recent grads! These emerging museum professionals deserve mentors and that is your chance to make an impression on them. Perhaps you should adopt a Museum Studies student and show them what makes you a success, what makes your museum a success, and what makes the field worthy of their skills and dedication. Shame on you for dissuading these hard-working, incorrigible, and creative people. For shame. I do want to encourage museum studies students and graduates to be creative visionaries. It's just not what I've seen thus far. Instead, I've seen people who have learned a uniform way to behave and progress in museum jobs. I have worked with, mentored, and learned from many students, and I support them. I just question whether they got something valuable out of their experience. But! I am going to make a more serious attempt. I'm teaching a class at the UW Museology program this spring and it will be a real opportunity for me to confront some of my own deep-seated prejudices in open exploration with students. I hope they will change my mind. I am pursuing an MA in Museum Studies and I just stumbled upon this post. It was an interesting read, but I am intrigued by your final comment and was wondering about how your experience was teaching in the UW Museology program went. Did it provide an opportunity for you to confront those "deep-seated prejudices" as you hoped? If so, in what way? Yet to find out-it runs from April-June 2009. I'll be sure to write about the experience! I am currently considering an MA in Museum Studies, and your blog raises points that make me question my decision. Therefore, any advice from museum professionals who have and have not obtained an MA in museum studies would be appreciated. I graduated in 2007 with degrees in Art History and Art Conservation. For the past year and a half, I have been working in a new museum and archives. I have gained experience processing and cataloguing photos in addition to obtaining images for a new exhibition. I have recently been reassigned to process and digitize on a specific archival collection. Now, this isn't exactly the direction I'm interested in, but due to the economy I don't have many options. I would like to work hands on with objects and other cultural property, but am open to the possibility of curating. Yet as a newer employee in this field, I have been told that in order to move up or even switch directions in museums, I need a Master's Degree. From researching museum studies programs and reading books, it seems like the right direction to go in. However, I need to keep working while attending school so my options are somewhat limited. I'm starting to look into online MS programs such as Johns Hopkins. Yet, I'm concerned as someone who wants to work hands on with objects and create museum links with other professionals. Some people, as I've read, don't feel that museum studies graduates obtain the same experience as someone who works within a museum. What would you think of someone who received a MA degree online? This article is absolutely fantastic in it's timing. I got declined for admission to University of Washington's museology program two days ago. They accepted less than 20% of their applicants. I have worked in a few museums throughout my college career and majored in history and thought grad school was just the next step. I am beginning to find out that just might not be the case. Anyway, thank you for this amazing article. It really made my day. I still will probably go to grad school for museum studies and I'm not knocking it at all, but this article just cheered me up so much. I have just graduated with an MA in Museum Studies. There are definitely days when I question its validity, however, I think that many of your points are generalizations that don't reflect the field or the degree. If we learn anything as MS students its that there isn't a right way or a standard way. Instead we are prepared for the possibilities and the variances that museum work inevitably entails. A good museum studies program blends the "hard skills" that you favour with the equally essential "soft skills" that the workforce requires. We are used to making great things out of few resources. We can design educational programming, conduct conservation studies, mount an exhibition, write a curatorial essay. We may have been able to acquire these skills elsewhere, but going to school is an option that works for many people. We enter the workforce jaded to the realities of the museum but with a strong sense of purpose. We know the limitations and the realities and take up the challenge of navigating the field. We have experience, skills, and education. We are each one unique, having different backgrounds, individual aptitudes and interests. I doubt you would find a grad who thinks that school taught them everything they need to know about museums. And we are worthy of a chance to prove ourselves. I don't feel this is an either-or situation. I worked in museums as an unpaid and barely paid educator, tour guide and exhibit development team member for four years before attending Bank Street for a Masters in Museum and Elementary Ed. My job experiences showed me the everyday realities of museum work and taught me to trust my instincts about my audiences. Bank Street gave me the opportunity to explore those experiences and instincts through the additional lens of theory and tradition-Piaget, Vygotsky, Dana and Dewey. Both cemented my financially-impoverishing, but personally and professionally enriching love of empowering people through informal learning experiences at museums. I would agree that an EXPENSIVE graduate degree in museum studies/museology may not be that helpful. But I would also argue that this is true for just about any social science/humanities degree. If you're going to be in debt for the rest of your life because of it, it's probably not worth it. But many museum studies programs are very affordable and offer funding to qualified students. So, if you can get into one of those situations then it is very worthwhile! And personally I decided to do the MA in museum studies because I was told by several professionals that it's the only way to get a good position at a museum these days. Most job announcements I see require it, unless you have many years of professional museum experience. So for those of us that are too young to have that kind of experience under our belt, the degree is the better option! No matter how much education you get, you won't be raking in the big bucks in a museum job unless you are the director. So I would only recommend graduate school if you can do it cheaply at a reputable school. man what a great article! i've been doing a ton of research to see if a grad program was what I wanted to do and i'm still on the fence. I see both points of view and feel that it might not be really worthwhile, but all the museum people I work with ( i volunteer at a local museum) say I'll need it to get a real job. Anybody have any thoughts on which school's museum grad programs are at least legit? Right now i'm debating between bank street and NYU but leaning toward NYU since I already have a elementary ed bachelors. So many decisions lol. I was a prior navy flight engineer so my gi bill will be paying for grad school so I basically have a free ride and want to use it in the best way possible! I found this post fascinating. I'm half-way through a museum studies MA myself. I went into it straight out of undergrad. I'd started looking for museum jobs in my senior year of college, and it seemed like an MA was required for anything beyond work in a gift shop. I was concerned about the usefulness of the degree, especially as museum professionals I'd interned with in the past told me that people in the field tended to view graduates of museum studies programs as being long on confidence and short on knowledge and ability, and that I needed to make sure to get practical experience in whatever program I ended up in. Sure, I'd love to be getting experience and getting paid at the same time. That didn't seem like an option. I think I'm getting good, practical knowledge and skills, and useful theoretical background. And sure, maybe I could have gotten that at a job, without paying for it - but would I have been able to get a job without it? Not according to the job announcements I saw. I entered grad school for Museum Studies (CO, Boulder) in 2000. I dropped out half way through the program. I found it too soft and theoretical (and not even rigorous at that). The program was being invaded by Education zombies. Too many flow charts! I went on to become a registrar and have been working in the museum/historical field for 12 years (I had some experience when I went into the program). Although the thought that I didn't finish sometimes bothers me, I can honestly say the lack of Masters hasn't made a difference. My advice would be to skip the museum studies degree and specialize. Get a Masters in History if you want to be a curator at a History Museum. Get a degree in digital information management if you want to be a registrar. Get a Masters in Education if you want to work in museum education. The benefit of all of those degrees is that they're also transferable to other fields. There aren't actually all that many museum jobs out there, so it's nice to have a degree that's useful for other jobs too. I have been considering a post grad degree in Museum studies, but family members have questioned the practicality of the degree. Reading these posts has made me question the idea too. "Following your heart" and "do what you love" are not legal tender in any country. On another point the experience vs education debate, I think, has always had one major flaw: young people like myself, (I just turned 26) don't have much experience. We simply haven't lived long enough! So after years of being told to do well in school, we get shot down at interviewing time simply because we spent all those years in school…Employers want "experience". It's frustrating and disheartening, especially when one thinks about how expensive school is. Sometimes I wonder if I shouldn't have gone to work in the gas station after high school, I seem no better off. I completely agree about the experience paradox. I dealt with that by starting out as a volunteer (a very honestly ambitious one) and getting experience at no or low pay at several museums over the course of a year by working part-time at several in parallel. I learned a lot both about the museum world and my own interests, and was able to transition to full-time after about 1.5 years of scraping by. Many people might say, "I can't afford to volunteer" and that's often true-but it's a heck of a lot cheaper than paying for school! And if you can stomach it, I found an incredibly well-paying museum job to support my other no- or low-paying ones: art modeling. Of course it's not all about money-I also believe I received a good general museum education working at lots of places and finding diverse mentors. Take heart. Find a place you love and see how you can be of service. Read some books, find a mentor, learn something, and make a difference. You don't have to settle for the gas station. Nina, Hi, We met at the AAM conference in April when I attended your panel. I was the overwhelmed undergraduate who couldn't remember why I wanted to meet you, but I did have a really cool business card. Anywho, my BA is Art History, In December I plan to apply to Arts Admin. and Arts Mgmt. grad programs. During the summer I was working as a curatorial assistant, managing the merging of two collections of several hundred thousand items during an organizational merger, they kept sending me grad students who said "what, moving objects isn't real museum experience!" "why is this undergrad girl bossing us around" I know I have real museum experience, but I am concerned about my ability to compete for jobs when I move to a larger city. Do you have any thoughts on Arts Admin programs? I know it is not ideal to go directly into a grad program but I didn't meet a single person at AAM who was graduating this year with their MA that had more experience than I already have. I don't know much about Arts Admin programs. If you want a job, get a job--don't go to school! Check out these thoughts about using free work to get into a great position. Find someone you want to work for, show them how you can help them, and then pester them like crazy. If you do want to check out the school route, I've heard good things about this MBA/arts admin program in Wisconsin: http://www.bolzcenter.org/ One of their professors, Andrew Taylor, is a friend and a smart blogger. I’m a bit late to this discussion –but it just recently came to my attention. My remarks are based on my art museum experiences. Ask any college president and they will tell you that art schools and arts administration/museum programs tend be big revenue generators for universities. These programs seem populated by a rather conservative and homgeneous lot. Further, I'm a bit leery of professors who have been out of the field for more than a couple of years. The landscape and demographic changes are occurring very, very quickly and most museums are now struggling to catch up. As a point of reference, you certainly don't need an MA or even a BA, for that matter, to be a good artist. Artist Barbara Kruger has a particularly humorous outlook on "all these art grad students that are being vomited up into the marketplace." And the market at this moment is not particularly robust. This is not a judgment on my part - rather an observation. I've directed two museums - and building a solid staff was a combination of matching work experience with desire and an entrepreneurial, collaborative nature. My assistants had business degrees or some level of business experience. You can teach specific job content or retain consultants for very special projects such as marketing surveys or strategic plans. My most recent education director had never worked in a museum but had produced a number of children's TV programs and was an exceptional project manager. I acknowledge that curators and registrars bring specific skills to the party. However, some of the best curators I know had in-the-trenches commercial gallery experience. Museums (art) are part of a larger art-market ecosystem. I've had numerous conversations with Museology students and it seems they are not getting where "the rubber-meets-the-road" info. for example, financial, budget, revenue projections, cost analysis management, customer service and satisfaction and sales (yes, fundraising is sales.) I expected all staff to be involved in that effort. Most museums are not the size of MoMA - so strict specialization is unhelpful. Can Museum MAs hurt? Of course not, but they are an asset best combined with real world and well-rounded experience. I am currently half way through a post grad Museum Studies course, and struggling, to be honest. My studies keep taking a back seat to my job as an assistant registrar at a transport museum. This role is teaching me more about museums in the 'real world' than anything I have done in class. I am one of the 'younger generation' talked about earlier, fresh from my BA (Anthropology). I feel that my grad course has been great for teaching me about theories of collection management and care, but I have also picked up a lot of practical skills from my previous boss. It is sometimes hard to swallow the ethical debates in my university readings, when at the same time I am having to deal with budget requirements, tantruming collection managers and inadequate storage facilities on a day-to-day basis. However, when looking at position descriptions, they all seem to require a post grad qualification. Is this just a continuing trend, like so many other employment fields, or is there a definite need for post graduate qualifications? The problem is that there is a over abundance of people that want to work in the museum field, a field that already does not have alot of money to work with. As any anybody that knows how supply and demand can tell you, as supply goes up, demand goes down. Because of the abundance of people wanting to work in museums, two things happen. 1, pay is low because if you don't want to work for the low wage, there is somebody else that well. 2, job requirements have to become hard so that only the best and the brightest are even qualified to try out for a position. There is no reason why one needs a masters or phd to work in a museum, as a bachelors and field experience is all that is needed, but because of the reasons stated above, the job requirement has gone up, first bachelors, then masters, and eventually phd level. Come on, is 6 years of school really needed to do most of the things a typical museum worker does? I don't think so. The museum field is not the only field were this has happened, as many other job professions that used to require bachelors are beginning to require masters due to the abundance of people with degrees. This can also be attributed to the amount of colleges out there. Colleges are a business, and all they want is your money. Because of this there is a over abundance of colleges with low requirements and even lower standards of work that pretty much grant degree's if you pay and work a little. Since we are talking about museum programs, just look at the amount of schools that offer it. The amount of schools offering the degree is completely disproportional to the demand of the field, yet there seems to be a never ending supply of college kids with money, so more and more programs pop up, perpetuating the cycle. Why are doctors, nurses, engineers (and in some cases business) majors paid so good??? Because nobody nowadays wants to actually work hard in college. Look at almost any college and the amount of people graduating from soft programs such as english, any of the arts, or history to name a few usually far outnumber people graduating with degrees in math, engineering, science, or nursing. Too sum it up, it is all because of supply and demand, for unless your truly in the top percent of workers (which everybody thinks they are) your really nothing special in the museum field and plenty of other people can do your job. sorry. your blog has been a fantastic read so far......its been an educating experience. i actually have a question that i would like to ask and im interested in getting some feedback from all of you. i have a BA in Interior Spatial Deisgn and im in the process of applying for an online MA in Museum Studies. At the same time im looking into getting an internship to help increase my experience in the field. im incredibly interested in the planning and organising side of Museum work so im hoping that the MA will allow me to gain entry into the quite close-knit museum world. Do you think im wasting my time (and a lot of money)? I would really appreciate an answer as you all seem to have a of of experience in this. thanks. I so strongly agree with you. I have a post-grad certificate in Museum Studies but am in constant struggle getting a job because i do not have an MA in Museum Studies. I fight with myself constantly - should I get the MA and relearn the same infomation? In reality, the Museum Studies was a nice intro but it has been years (YEARS) of volunteerism that has offered the most experience. Lesson: If I had a job where I was in a position of power, I'd hire the experienced over MA any day. You posted this quite awhile ago, and I am curious as to what your opinion is now, and if it has changed at all. I saw in one of your comments that you were teaching as a part of a Museum Studies program, and am wondering if that reinforced your beliefs or swayed them. Also, I would love advice on what those currently enrolled in museum graduate programs can do to avoid becoming zombies! My thoughts on this have changed... sort of. Rereading the post, I still agree with it 100%. What's changed is that I've gotten to know a lot more of the (non-zombie) people in these programs. They are, for the most part, smart, interested, dedicated folks. Some are there because they're not sure what they want to do with their lives, but many are people who just learn best in a formal setting. I respect and acknowledge that people learn differently and that for some people, a strong classroom basis helps them get into a good headspace to do confident, good work. Also, some programs have moved toward offering a more clear "value," such as JFKU's MA/MBA program in museum management. That's great. However. If I was 22 again, would I go for a graduate program? With the possible exception of the UofArts Exhibit Design program, the answer is no. I still believe that for motivated people who want to work in museums, the best education is cobbled together from on-the-ground work and personal professional development. I've spent the last four years doing a kind of personal grad school via the blog and writing the book. I've learned tons and met all kinds of people. And I did it for free. Volunteering sounds expensive until you compare it to the cost of being a student. I hope this helps. 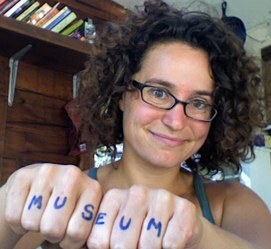 You might be interested in reading more about how I actually got started in museums here. This has been an interesting read, and follows a line of enquiry of my own over the last couple of years. I have had more than one conversation with Museum studies profs, grads and others. "Why would I want a museum studies degree?".... My conclusion has been that I do not. I have a fine art degree and have been working as a manager of education programs in a mid-sized art gallery for the past 7+ years. Initially the thought of acquiring all of the knowledge and theory to inform my professional practice was very appealing, as was the degree itself which I had felt would make me more attractive to future employers as I move into larger institutions. (I am currently in a position that asked for a masters degree, which I do not possess, but applied anyway). Your post is really interesting. My name is Renata, I'm from Brazil and I'm a graphic design bachelor. Since I want to change my carrer focus to work in a museum, I decided to search for a international graduate program or even and extension course. I already have a lot of experience in project managing and concept creation in the design area. Reading your post I see that you believe that a Art History degree or even a museum studies degree is not a smart move to me. What would you suggest? There's another path for me and people like me? If I knew what I know now about the myriad of ways to get started in museums, would I have gone for the Masters? Probably not, but here's the thing: I only learned about these other options through my masters program, and through an introduction to the museum field. I'm one of those who came in (almost) straight from undergrad. My BAs in film and biology were not getting me anywhere, mostly because I didn't want to specialize in either, and I was looking for a field where I could combine art, science, and education. I knew close to nothing about museums despite having worked in a museum prep lab, so for me this masters has been an essential introduction to the field. Because of the things I've learned in my classes about what museums can be, the history of museums, and the variety of specializations within the field, I feel more sure that this is the right field for me. I probably could have found out a lot of information on my own about museums, but I'm not sure I ever would have known where to start. I wouldn't have known that evaluations are so cool, and I certainly would not have found this blog! Some of the other respondents noted that they started in a museology program and quit partway in order to actually work in museums, and that's great. I could have gotten a taste for museums, and then quit the program to find museum work, but I liked it enough to decide to stay. Not everyone does, and that's ok, as long as you like the field. Will the MA help me get a job? It's quite possible that it won't, considering the glut in the market and the dire financial state of museums. Even a degree won't qualify you for most jobs, since they all want 3 years of experience. What the MA has given me is the passion to follow my museum dreams, the certainty that I've found the right field for me, and the energy to pursue leads. If all that fails, I'll just start my own museum. Many other posters have pointed out that not all programs are created equal, and that's certainly true. I purposefully avoided the on-campus museum programs in favor of the Johns Hopkins distance learning program where all of our classes are online, and my classmates come from around the world with an array of experiences. We're not all competing for the same jobs and internships in the same geographic area, and we can brainstorm and share stories about what museum x is doing compared to museum y. This online network is already incredibly valuable to me, and sure, I could have tried making these contacts on my own if I had known, but the masters made it easier. My professors also come from all over, which again helps with networking and getting a better idea for the field. I don't know if/how museology programs located on a physical campus deal with the effects of the internet and digital technologies on museums, but that's certainly been a major part of this program. I'm not trying to push the JHU program on anyone, I'm just saying that these were the reasons it made sense for me. Similarly, if you really want to pursue the degree, you can find a program that fits all your needs. Just don't hop in to have the letters after your name, that's a stupid reason to go through any graduate program. To wrap up, the masters may not provide actual opportunities for me, but at least I now know what's out there. If you already know you're going into a career in museums say in exhibition or curation, a museum studies degree won't really be helpful to you. Just like law school, it's not for everyone, and unfortunately just like law school, it looks like more and more young people are pursuing the MA just as something to do, an expected next step. in a museum is miniscule. The theory is good, the preservation and practices course was great - but why are there only 20 hours participation required? Museums are educators just as much as schools but we have less practice dealing with our audiences. As a student I had hoped the program would teach me how design effective programs, for all audiences, how to incorporate recent discoveries into the museum's programs, so on and so forth, so far I have gotten more on the history of museums and how to run a business than I have had participation. It's nuts. I met you when you came to the UMA conference in Logan, Utah in 2011. I have been in the field as both a volunteer and an intern for over two years now. I have even taken some of the certificate courses offered in Utah on both the Graduate and undergraduate levels. While I see their importance, I have learned more by working hands on than through the theory presented in courses. I have been thinking of doing an MA in Museum Studies/Public History, but I am no longer sure that I want to do so as it will limit what I can do (since it is museums I am okay with that). I also know it is a field that is hard to find a job in. I love working in the museum field and I too hope that an MA does not become a requirement for the field. Like you I think the backgrounds of various museum professionals is what makes the field so appealing to so many students. "Heroes I admired from afar became friends and mentors. I'll never forget when Elaine Heumann Gurian cold-emailed me in 2007 to ask if I would consider reviewing a new paper she was writing. It was like the God calling to see if I could give my opinion on a new planet. I've been struck again and again by how generous people in this field have been towards me. Instead of seeing me as a threat or a young person not worthy of their attention, experienced members of this field have given me their time, conversation, and guidance." MA Museum Studies program at JHU hosted Gurian at a Summer Seminar (2010). Also, the program should not be seen as a threat, or unworthy, but as an oppurtunity for thirsty minds to quench their thirst "with expereinced members of this field". Irregardless, if someone works in a museum, or is a student in a MA Museum Studies program, they are still being taught by museum professionals...we all still have museum mentors. I think that is the connection we all have and should celebrate. Thanks for reiterating why MA Museum Studies are indeed important, one look at previous comments has surely shown that we all are passionate about the field. The same passion you have, we have. Also, did teaching change your perspective on Museum Studies programs? Way to kick the hornets' nest! I also noticed that almost all jobs in the market state "Masters" preferred... what are they supposed to say, "amateurs need not apply?" It's always a matter of connections, skills, and timing isn't it!? Often I've thought of "going back to school" since it seems that is the next step after having worked in the field for 6 years. I've even talked to folks at least 10 years my senior who have doctorates and they don't recommend getting into as much debt as they did. I personally have been working since my sophomore year in some sort of creative work while attending classes. It worked for me by keeping more doors open and debt down. If I can do something like Bankstreet it will be ideal. Wish me luck. It really does depend on the programme of that MA. I'm at Newcastle University in the UK, at the International Centre for Cultural and Heritage Studies- http://www.ncl.ac.uk/sacs/icchs/ It was one of staff members that actually pointed me to your blog. My course has both people out of uni, and those already doing museum work. One brilliant fellow student, told me she helped run a economy museum in Africa! Another, did camera documentaries and interviews for the Baltic. They seem really satisfied and passionate about course. In regards to cookie cutter graduates, I think the diversity within people means that I could never have the same approach my fellow students, and they will never have the same approach as me. My course has people from all round the world, from different backgrounds, with different expertise, and different kinds of museum experience. I look at my classmates, and I know that they all going to go down different paths to me. Even though this is an old post, I found it quite interesting. It's now November 2012 and a lot has happened since your post. I'm entering my final semester of a master's program in Museum Studies. capriciousmuse's list of benefits echoes my sentiments. The comment in response to her list that said the same could be gained from a job was true...IF you can get the job without the degree. It seems to take a Master's degree to even get your resume read. I think your concern that it would become a requirement has come to pass in most cases. I'd be interested to know what your thoughts are about all of this today. Any changes? New concerns? Has Michele delCarlo's cutting edge creativity help to ease your fears of squashed innovation? We can't all be Michele, but we're also a long way from being standardized, regulated followers. There's a lot of good work being done by graduates of museum studies programs. Even though this is an old post, I found it quite interesting. It's now November 2012 and a lot has happened since 2007. Finally, finally... it is possible to be critical of this particular academic field. I graduated from my masters programme in Museum Studies, 6 years ago. It didn't help me to get a better job/better pay, instead people have been suspicious - 'Why Museum Studies'? I think they are right - museum studies do have a reputation for creating 'professionals' with all the 'right' set of attitudes, beliefs and views on museums, the visitor and the collections. And it is a bad reputation, that I'm sorry to say, is well earned sometimes. environment, and should rather be eliminated, along with the archivists. I could not take this seriously, it was a terrible narrowminded view on our profession and the work that we do in museums. And I did not like (as I'm raised in the 1960's) to be 'ordered' to think and say all 'the right things'. No critique was allowed. But, the University authorities came one day for an inspection, and to them I told all my concerns. After 2 more years the ptogramme was closed down for some years, the critique was overwhelming. Now it has started again. But, the main critique is that mainly this programme for newly invented generalist professions in the museum field, does not accept critical thinking at all.As a student you are only expected to accept all this, even when you know teir idea and they are wrong. Not such a a good start at an internship ! I got distnce now to all this, but do think that a poor university should stop this program. It does not fill a function and there are new myths created to replace the old ones. It's been quite a long time since you wrote this, but I was wondering about your feelings on more specialized programs - I went to one specifically for fashion and textile museum studies, which focused on the history of fashion/clothing/textiles as well as the practical skills to deal with objects, and things like catalogue entries & label writing, etc. that are applicable to a range of subjects. My personal experience is that it's borderline impossible to get a job in a museum unless you have extensive experience and the degree, even for a low-level curatorial assistant position. Or else you need to have the perfect connections/references. It's not fair that people with experience get completely overlooked because of their lack of degree, but it seems equally unfair to bar degree-holders with some internship work from entry-level positions because they don't have five+ years of work under their belt. It hurts the field to make it so difficult to get into. On the topic of student loan debt, I just want to add that not all Masters programs will cost you tens of thousands of dollars. I got my Masters from a very reputable school that provided a tuition waiver and a stipend for their Museum Studies students. They also let in only a few students each year so as not to flood the market with new graduates, and this allows them to provide funding for the few students they DO take. I also feel like my education was well-rounded and allowed me to not only be creative, but to get a LOT of hands-on experience. The bottom line is that not all Museum Studies programs are created equal. I know you wrote this post several years ago, and I hope you've found that these programs are a bit different than when you first experienced them. I am about to finish my own Master in Museology. I come from a Marketing Management background and would make a rather fine Museum Director--I have been told this to my face by multiple museum professionals--yet no one will hire me because I had no "background in the arts, education, or museums". Which is untrue, because my Associates was in Art History, and I have been working as a volunteer in museums for about a decade and a half, and have worked with multiple non-profits. They wanted an education. And already having a BS and not willing to go through another 4 years of undergrad work to get another one, I pursued this Master's degree. I am a business owner, a PR professional, a graphic designer, a database manager, a business analyst, and a well respected media professional. Now I have this new degree and people WANT my talents and my experience for a Museum Director where they wouldn't even look at me before. I don't think that standardizing a degree for MANAGEMENT is a bad thing and I think that these types of degrees do just that. They teach students to be administrators. There are a good few museums I can think of right now in the next five seconds that need an excellent administrator to come in and provide motivation to the staff and the community, who can get everyone on the museum's side. It's great to be passionate about what you do in a museum but it's equally as important to have a strong leader. I am certainly improved in my leadership skills and analytic abilities for having taken these courses, and when I land a job as a Museum Director in the very near future I will be successful because of what I have learned and how I am able to pair it with my background and apply it to the present. I just came across this very interesting and thought-provoking conversation. I am considering attending a museum studies certificate program this fall. My concern is that MS certificate programs are not as valuable as MS masters programs. (I have an MA in Medieval Studies) From what I have been reading in this conversation, it may be better for my to continue with my volunteer/work approach instead of spending the (frankly outrageous amount of) money to attend this program. Does anyone have thoughts about the value of certificate v masters programs in terms of actually finding employment? I'm glad this topic is coming up over and over again because let's face it, there are too many grads in the museum studies/public history/museology field for too few jobs at non-profits with increasingly shrinking budgets. But frankly, museum studies programs are not alone - they've simply caught up with the rest of graduate academia. Do you know how many people I know with PhDs who can't find a job? People who also have experience in the field? People 10 or 15 years older than me? It's systemic to the entire academic system - higher education is simply not enough to serve as job preparation ALONE. Particularly since the ivory tower seems to hold a grudge against "professional" degrees. Or worse yet, actively try to discredit or stifle them (yeah, it happens). I almost have an MA (let's face it - I haven't found the time to do my comprehensive exams yet because I'm working). I went to school part time (commuting nearly 2 hours each way, I might add - thank god for night classes) and worked part time in the field. I had volunteered at historic sites and museums and other nonprofits in high school and undergrad. So I already had some of that experience so necessary to landing a job these days. THAT BEING SAID. There are a LOT of things about museums (particularly collections management, archives, and curation) that are much easier to learn in an academic setting than in an informal, on-the-job one. My curatorial practices class was eminently helpful for understanding collections storage, handling, and standardized labeling. My one complaint about my Public History program (which is different from most museum studies programs as it focuses entirely on history museums and historic sites) was that it wasn't professionally-oriented ENOUGH. Two thirds of my classes were academic history classes. Which, y'know, was fun, but I felt were a total waste of time when I was paying big bucks for them and could have been taking more classes on the practical application of history, rather than the theory. No one curator or education director knows everything there is to know about history anyway, and many of them have to be generalists rather than specialists, so taking classes with such a narrow focus was not as useful as it could have been. I also think that while museums studies programs can be a cop-out for history buffs who don't know what to do with their lives and get an MA in museums studies as their "fall back" (or worse - social studies education grads who do the same), MAs can also help discern who is truly SERIOUS about museums. You don't blow $30,000 on a whim (usually). And while you, Nina, may enjoy the diversity of backgrounds which people claim when they find museum work, it sort of drives me nuts as someone who has pretty much devoted her life to history museums when other people say, "Oh yeah I used to be a healthcare administrator and then I saw this job listing and thought - hey! Museums could be fun!" I feel like it trivializes all the experience and effort I've put into my career. So while I love your blog and I understand you want people to think outside the box, I've gotta say, museum program grads can think outside the box, too - it's just that as young people we're rarely given the chance to make a difference before we're downtrodden into bitter cynics by 15 years of part-time work as an "assistant" something or other, despite all our ideas and experience and efforts. Or worse yet, roped into full-time salaried positions with little pay, no time off, and a mountain of responsibilities that result in 70+ hours of work per week. I try not to be bitter and cynical, but I'm only on year 5 of part-time work. So we'll see what the future brings. As a new grad of a museum studies program and a BA in history (with a few years to an education degree thrown in for good measure) I must admit that the job market is tough. I can actually make more as an administrative assistant than I do as a collections assistant. That said, I'd rather work in a museum than in an office. Was my program enriching and necessary? Enriching, yes. I know many people who just have a BA and work in the same field and I know some who have an MA and have managed to land a great gig. What I have noticed and what cannot be disputed in Canada is that the more education you have behind your name, the more options are available in the market. Experience is still necessary but I don't think experience can trump education. Education is never a waste of money or time. It is an investment in your personal capital and eventually it pays off. I know many other grads in other professions who have just as much struggle in the job market. I know I'm late in the game on this conversation, but I found this post and the comments to be really great at seeing how people look at MA students coming into the museum world. I understand the trepidation at the homogenizing aspect of hiring MA students, but I also recognize the importance of choosing a school that "thinks outside the box" so to speak. I will admit, the decision to go to graduate school for me definitely had a strong basis in the fact that most of the jobs I looked at required some sort of MA degree. Going to grad school, I was at first a little disappointed that I was not getting the rigid background in rules and regulations things like conservation and design, but I realized over the semesters that I am receiving that through the projects my program works on. An added bonus is that the program at my school is community focused, so the students really are getting a grounding in situations they will encounter in the real world after graduation. I think that graduate students become what they make of their grad school experience. I know that the Public History program I am in, while very small, invites people from different backgrounds to become public historians and engage in the museum field, and this makes our program stronger and we learn from each other. There is also an international focus in the program, which broadens our thinking to how museums and visitors effect the communities around them on a larger scale and has brought up some really interesting and difficult discussions. I think you are right that there is a problem with requiring MA degrees for a wealth of the museums profession positions out there, and there might be some disillusionment between spending 2 years in grad school and then picking up an entry-level job. But I also think that the MA's do a good job of preparing us for the things we might encounter, and foster a way of critical thinking that channels our creativity instead of taking it away. Maybe this is a Public History compared to Museum Studies difference, or a small program vs. a large program; either way it will be interesting to see how this progresses in the future. I know through my MA I gained the experience required to apply for many museum job postings, although I'm not sure there should have been that requirement to begin with. I found a link to this post while searching for museum studies grad programs. This is exactly the kind of thing I want to see while looking into whether or not diving into a program is a good idea. Also, anyone out there have a museum studies masters and work in a non-museum setting? Nina, it's now been several years since you made this post about Museum Studies programs. Has your opinion changed? Do you think they are better now? The only reason I am going to get an MA in Educational Studies (not Museum studies) is so that I can remain competitive in this field. I have found that not only are HR folks requiring MA's in most job postings but also I know a curator who wanted to hire a BA with lots of experience and was stopped from doing so because the salary required an MA. It's total crap but there it is. Without my MA I will be earning below what I should be and feeling like someone else always has that dream job because they have the education. I was directed to your blog by an instructor in my Grad Public History course, we are going to discuss your open letter to Ariana Huffington et. al. and I am looking forward to what my fellow students think. Before I continue, let me note that I am 45 years old and have worked for museums since I was a student at the School of the Art Institute of Chicago. I'm taking these courses to further my career and I have found (also note that these are online courses through SUNY) that no one "school" of thought is favored or engendered, in fact, since most of us are professionals, we are encouraged to offer our insights to educate each other in best practices and methods. Funding is scarce and therefore programs that remove barriers and engage new audiences can garner resources more easily than traditional programs. It's a slightly cynical view, but in the end, most museum boards and directors understand that today to keep the institution growing, it must operate as a business- and we are in fact in the business of educating, therefore we have to capitalize on that role. Corporations and government love to fund programs that engage under served communities so the formula works very well. Don't you think? That said, there is a danger of alienating the traditional museum-goer (and make no mistake, we are still out there and we are breeding a new generation!). I am in the boat with dear Ariana on the museums as places of contemplation. I virtually grew up in museums and as an employee have had the great privilege of being able to interact on a level that the public does not; after hours, behind the scenes and one on one with the collections. I can also tell you that a visit to the Campin altarpiece room at the Cloisters in NY can be a transcendental experience, a trip through time- but not when there are school groups or hordes of tourists with you. On a recent trip to Italy, I inadvertently was taken behind the scenes at the Uffizi and saw several famous artworks off the wall in private and under restoration because I was with someone in a wheelchair and we had to be escorted to a staff elevator...needless to say, that one on one, special access was the highlight of our visit! My point is this- museums cannot afford to be exclusively hands on- interactive, educational and social meeting places for the underprivileged and under served any more than they can afford to be bastions of high culture for the elite. There must be a balance between education, outreach, interactive exhibits as well as traditional museum going experiences. I am sure you understand that, but in order to push the agenda you are choosing to favor one side. Perhaps you are underestimating your museum colleagues when you assume that it has to be an all or nothing shift in ideology. I for one have encountered numerous institutions that carefully plan and develop their exhibitions and programs to attract the widest, possible, most diverse audience their community can provide. Exclusive, ticketed jazz concerts in a sculpture garden or lectures with celebrity designers, authors can do a lot to fund interactive websites and after school programs as can that full price ticket that I buy on an early Sunday morning to visit the Campin Altarpiece and steal a few moments alone in contemplation. Postgraduation courses are pushing themselves up the agenda on both the demand and supply sides of education. 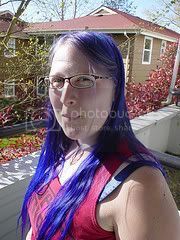 Julie Margaret- I did night school at Harvard University Extension to get my master's degree in Museum Studies. Luckily, I was able to earn my degree while working full-time for a museum design and planning consultancy: no loans needed. Harvard's is an inexpensive degree and it did not require specializing in an ivory tower: art, natural history, history, or science. I did the schooling because Harvard was on my way home from work, because it wasn't (too) expensive ($12,000), because I think it is fun to be a student, because I got to experience the myth/reality of Harvard first-hand, and because I thought the degree might open some doors down the line to my 50 yo self that could otherwise get in the way. • The degree certainly helped me to better understand the internal workings of my clients, the origins and histories of "the museum" as a cultural institution, and how all of that's fed into today's museum culture (general hierarchy, responsibilities, purpose, mission). • Having to write a scholarly thesis helped me to understand what a lot of the curators/scientists daily work is like and what authentic research is all about, in general. My undergraduate industrial design degree hadn't really taught me those things. • I especially loved the leadership courses I took in the business school as part of the electives; they lent me insight that improved my teamwork: my favorite part of museum work. My museum studies coursework was not nearly as innovative as the endeavors I am able to take on as a consultant. That said, it did ground me so I have the language I need to understand how my team's ideas might be received and why. There is a rigidity to museum practice. Am I better off knowing about it? I think my clients appreciate my understanding and I do believe it helps me steer them away from unnecessarily conservative approaches, sometimes to the end of fully embracing risk. I do think museum studies programs have the potential to become think-tanks for museum innovation; however, that would certainly have to be the goal of the program. Does anyone know of any particularly innovative museum studies programs? Julie Margaret, if that's the sort of thing you are into, that may be the one you want to find. As a design student, hobby painter and future student of Museum studies, I believe you have to know the rules in order to break them. What you are saying about Museum studies is what a lot of kids said about painting and anatomy classes while I was an undergrad. I remember being in a figure drawing class where every kid that got the anatomy wrong would say, I draw this way because it is my style. To me if it is not intentional, it is not your "style" it just means you don't know how to draw it correctly. To me, you have to know anatomy in order to deform it, same as you have to know academic theories, like how to properly curate and lay out exhibitions in order to change them. I guarantee you there will be some zombies in my studies, following everything they learn to a T, same as there was in my program while I was at art school, but that is not the fault of the program, that is the fault of the student. Radical Trust Quiz: How Radical Are You? Museum 2.0 has Moved (Sort of)!